Chris has an incredibly in-depth knowledge of local planning policy and planning law which he is able to apply readily to gain maximum benefit for his clients. We achieved results far in excess of those which we could ever have imagined and would recommend Chris to any of our friends, particularly those with specific and ‘difficult’ planning restrictions as he is able to ‘think our of the box’ and identify opportunities where other architects may not. Chris is very easy to work with creative and is prepared to be very proactive in getting a successful design. Chris produced a high quality and innovative design which managed to blend in a large contemporary extension with a Victorian house. 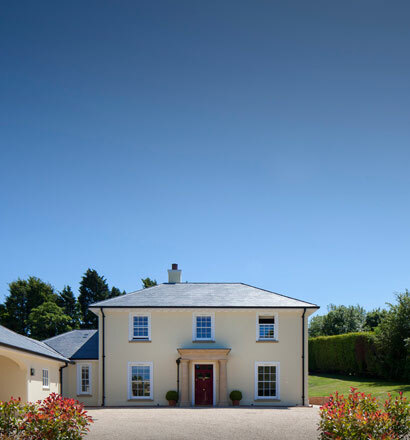 We appointed Tempietto in 2010, with the challenging instruction to obtain detailed planning consent for the construction of a residential property, within part of the garden of our existing property in the North Hertfordshire village of Ashwell. This was a challenge in that the site fell within the conservation area but sat just outside the ‘planning envelope’ for the village, and was therefore not policy compliant. An exceptional case had to be made. We had talked with other architects but Chris Higenbottam’s, planning skills and experience, combined with similar skills working in conservation areas, won Tempietto the instruction. These skills, plus an ability to quickly gain respect from planning officers, resulted in a successful planning consent being obtained within a reasonable period. Christopher quickly understood our original ‘requirements brief’, made a number of helpful suggestions, and interpreted this into excellent scheme drawings. The quality of the design and excellent architecture played an important part in securing planning consent. Construction started in 2011 with a contractor that Christopher had suggested we might want to include on a list for the tender process. The contract, including external works was completed twelve months later. Most importantly the build was completed on time and on budget to an extremely high standard. The construction process was project managed by Tempietto with regular site meetings, well documented, and with tight financial control. There were no ‘surprises’ along the way, which evidences Tempietto’s first class communication skills – with client, builder, regulatory authorities, and other members of the professional team. We have ended up living in a beautiful house, which has met all expectations, combined with excellent eco credentials. The whole experience was also an enjoyable one. An understanding of our needs together with many helpful suggestions. Excellent architecture and design flair, combined with a practical approach, and good attention to detail. First class strategies for the planning application, and invaluable experience when working in a conservation area. Respect from other professionals involved in the project, including the builder’s on site foreman, and ourselves as clients. Detailed knowledge of green technologies. First class project management skills, with good documentation, and rigorous cost control. Always accessible by email, for telephone contact or meetings, and promised documentation and drawings were always delivered on time. Good after care in dealing with snagging matters. My wife and I believe Tempietto are an excellent Practice, and Christopher, together with others in his office, has been a pleasure to work with. We have no hesitation in recommending the Practice to others.